October is a great month to get away, especially if you are looking for great deals. With kids back in school, resorts, hotels and inns in the U.S. and abroad offer attractive packages, free nights and VIP perks. You can get an ocean view room in Hawaii at a fraction of the cost, view fall foliage, or take a romantic trip to a city like San Francisco or Memphis to enjoy great restaurants, museums and parks. Find best places to travel in October from New York City, San Francisco, Seattle, Atlanta, San Diego, Los Angeles, Chicago and other cities. Here are some of the best October vacations. 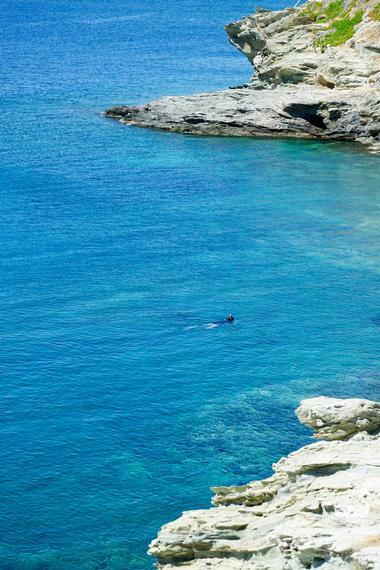 Best islands to visit in October include Maui, Bermuda and the Bahamas. If you are planning a honeymoon to French Polynesia in October, Conrad Bora Bora Nui offers some of the most spacious accommodations on the island. Guest villas measure from 1,000 to 1,500 square feet in size and feature scenic views of the lagoon. Complete with Italian marble bathrooms and glass floor viewing panels, over-water villas provide a beautiful setting for a honeymoon vacation. In the morning, have your breakfast delivered by canoe to your villa. Bora Bora Nui Resort has a luxurious spa where you can book one of the private spa bungalows with a Jacuzzi and full bathroom. This charming romantic country inn in Southern Vermont is a great spot to get away to from busy life year-round and is most popular during fall foliage in October and on summer weekends. In the winter, the inn provides approximately 6 miles of cross country skiing trails. The inn offers tastefully decorated rooms, great food and a relaxed atmosphere. There is a heated pool and a clay tennis court overlooking the West River Valley. Guests that enjoy the outdoors can hike along the surrounding trails, including two nearby state parks. The one-room spa is cozy and relaxing - don's forget to treat yourself to you a relaxing massage. Guest rooms and romantic suites enjoy views down the valley; some have fireplaces, private porches, or jacuzzis. Dinner is served in the Frog Pond Dining Room. The menu changes daily to incorporate fresh local ingredients. 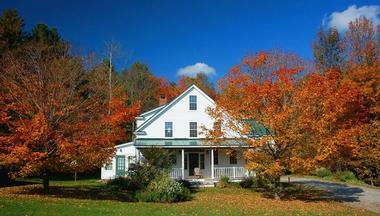 Book early for fall foliage or summer weekends. Windham Hill Inn is located about 4.5 hours from New York City and approximately 3 hours from Boston. Springfield Airport is 25 miles or 3/4 hour away. Two-night romantic weekend getaway packages start at $569.50, including breakfast daily, one dinner and other perks. Visit the inn's web site for information about seasonal package offers (800-944-4080, 802-874-4080). 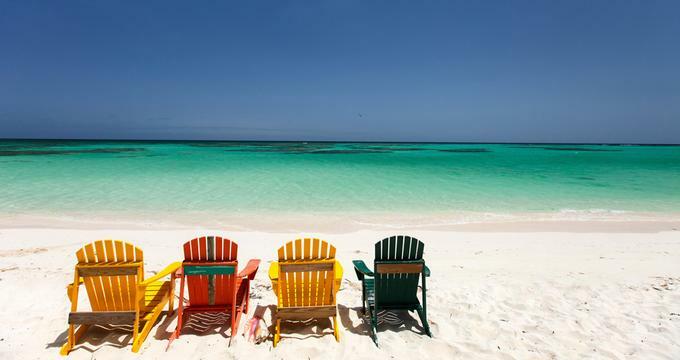 Keep reading for more vacation spots in October. Situated right in the heart of a magnificent UNESCO World Heritage site, LUX* Le Morne directly faces one of Mauritius’ gorgeous lagoons. 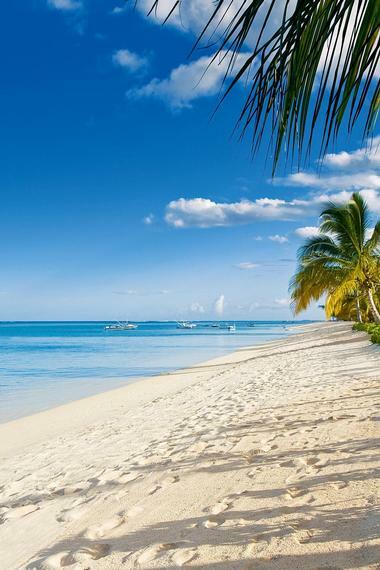 With crystal clear beaches on one side and majestic mountains adorning the other, LUX* Le Morne offers a view of Mauritius that can’t be experienced from any other location. Guests can explore the sheltered coves, take a dip in the sparkling waters or lounge poolside and appreciate the spectacular sunset. Picturesque chalets are scattered throughout a lush tropical garden, and if guests can pry away from the wondrous accommodations, they can enjoy dining in any one of the flavorful restaurants located in the hotel. (Phone: +230 401 4000). Keep reading for more October vacation spots in the U.S.
Elounda Bay Palace in Greece is a scenic getaway on the island of Crete, offering guests a great spa, facilities for families and rooms with ocean views. Guests are accommodated in rooms and suites with private balconies overlooking the water. In-room treatments can be requested, or you can head to one of the spa treatment rooms and take full advantage of the state-of-the-art facilities. 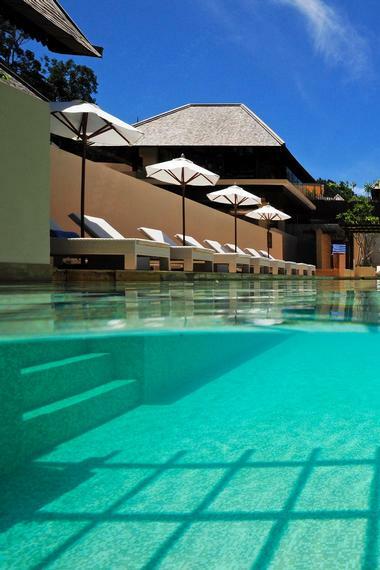 Choose from a selection of luxury suites with private pools overlooking the ocean. If you are looking for unique October vacation ideas in Greece, this is a great place to visit. The resort offers vacationers a host of activities, including a dive school, two private beaches, indoor pool, several outdoor pools and an open-air amphitheater. Other vacation activities and facilities at include tennis courts, a pool and water playground for kids, four restaurants and three bars. 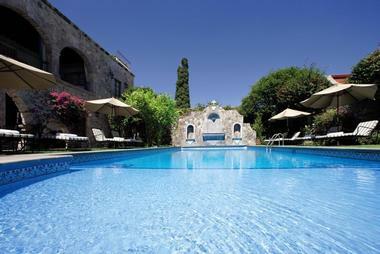 ThalaSpa Chenot is one of the top spas in Europe. The philosophy behind the new spa is to understand each guest individually and offer them a choice of therapies which will improve their wellbeing. The Chenot Method incorporates the teachings of traditional Chinese medicine to establish a unity of body, mind and spirit. Rooms start at 280 Euro per night. (Phone: +30 2841 067000) Browse best places to travel in October in Europe. Soneva Kiri by Six Senses, Thailand features a luxury eco villa with a pool which was built from locally sourced building materials and is bio-climatically controlled. You'll get to enjoy lust tropical surroundings and a scenic location on the Gulf of Siam. In addition to the unique villa, this island vacation getaway offers a selection of villa residences, including a suite with a separate spa area, beach villas and a private beach reserve. 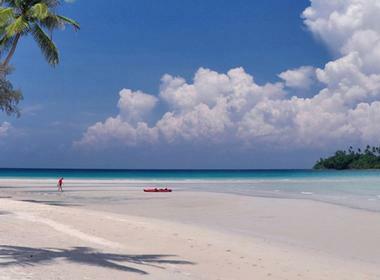 The island of Koh Kood offers a number of adventure vacation activities, including a fully equipped PADI dive and training center, catamaran sailing, guided jungle treks and more. 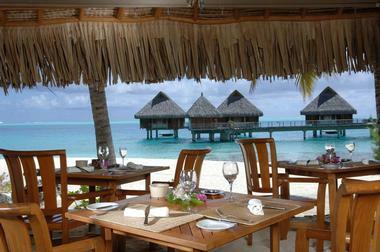 Guests receive five star luxury service, whether they are relaxing on the beach or having a romantic dinner. If you are looking for tropical October vacation ideas, luxury villa suite rates at the hotel start at $1,970 USD per night (+66 39 619 800). Estancia La Jolla Hotel & Spa features first-class facilities such as an internationally-acclaimed spa and wellness center, a heated saltwater pool and whirlpool, an intimate chapel for wedding ceremonies and other celebrations, state-of-the-art conference facilities and gorgeous outdoor garden venues, and award-winning restaurants, elegant lounges and upscale bars. Surrounded by lush tropical gardens, a heated saltwater pool and whirlpool are perfect for an early morning swim or a day by the pool. The pool deck has an abundance of lounge chairs, as well as private cabanas complete with assorted snacks, beverages, and enhanced service, which can be reserved for the day. The Spa at Estancia is a boutique spa retreat that offers award-winning spa treatments featuring organic products in tranquil treatment rooms or private bungalows. The exclusive spa menu includes a variety of massages and massage therapies, facials, salon services such as manicures, pedicures and waxing and indoor and outdoor relaxation areas and a meditation garden offers ideal places to unwind in peace. Viking Cruises offers itineraries which let you explore the scenic Rhine Valley and other famous European destinations in style. The company just set a Guinness World Record for christening 16 river cruise ships in a 24-hour period. 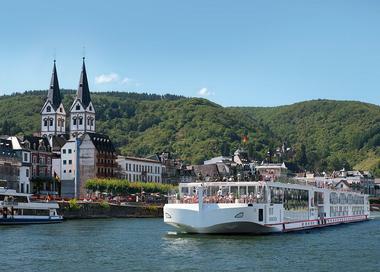 Viking has ordered 12 new ships for 2015 and is launching new trips down the Rhine River, famous for its medieval castles. Viking Longships have received numerous awards in the last few years. They feature a patented corridor design, cutting-edge technology and comfortable amenities which have been a hit with travelers. The vessels have an all-weather indoor/outdoor terrace with retractable floor-to-ceiling glass doors where passengers can enjoy scenic views while dining and sipping drinks. Viking Longships have 95 staterooms which accommodate 190 passengers. The two Explorer Suites are as luxurious as it gets and the most spacious in Europe. Another great option are the Veranda Suites with a full-size veranda in the living room and a French balcony in the bedroom. Eco-conscious travelers will be happy to know that these vessels are equipped with solar panels and hybrid engines designed to conserve energy. You will be able to enjoy meals prepared using the ingredients from the ship's own organic herb gardens. "Legends of the Rhine" is a new 2015 itinerary which includes a 8-day journey between Amsterdam and Frankfurt. Guests will have a chance to tour medieval castles, visit Cologne, and sample local beers and wine. Prices start at $2,356 per person, with 2015 departure dates in April and May. If you are wondering where to vacation in October, the Croatian coast is famous for its beaches and scenic islands. Check into the Falkensteiner Hotel & Spa Iadera on the Punta Skala peninsula which offers stylish interiors and amazing views. All of the 210 rooms and suites have views of the ocean because of the unique circular design. The design is modern, with blue accents and large picture windows. If you want a quieter room, ask for one that's not directly above the pool (those rooms can be noisier, especially if the hotel is fully booked). Choose from 160 Double rooms, 39 Junior Suites and 11 Senior Suites. You will be just steps from the Croatian coastline where you can choose from sandy bays and natural stone plateaus, great for sunbathing. A fragrant pine forest provides plenty of shade during the day. Treat yourself to a relaxing massage, either outdoors or at the Acquapura Spa. The restaurants serve Alpine-Adriatic cuisine. Sample delicious Mediterranean cuisine of Dalmatia with Italian influences. There is a spa bistro serving light meals, a cigar lounge and a Dalmatian tavern. Have a romantic dinner at Bracera bar and restaurant where you can enjoy spectacular sunset views. 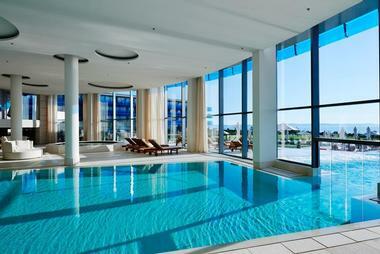 Room rates at the hotel in Croatia start at 408 Euro per night. After a £19-million renovation project, Brown's Hotel retains many of its historic architectural features with a more contemporary feel and state of the art technology in the guest rooms. All of the guest rooms offer two-line phones, voice messaging, broadband Internet connections and televisions with interactive video and hundreds of music CDs on demand; the suites will have flat-screen LCD televisions. Wireless Internet connections are available in all public areas. Each of the twelve guest suites has a charming fireplace in the sitting room and will be individually designed. Hard Rock Hotel San Diego offers various luxury suites which work well for honeymoons. Choose from Hard Rock Suites, Rock Star Suites, and the Black Eyed Peas luxury suite designed by the Grammy Award-winning Black Eyed Peas. The hotel often offers great packages. The suites have a bedroom, bathroom and living room complete with a m-bar refreshment center. The halo-illuminated king-sized bed has luxurious 300-thread-count cotton linens. There are 17 individually designed Rock Star Suites with spa-like bathrooms and spectacular views of the city and bay. When choosing your honeymoon suite, you can choose accommodations with a fire pit, or another suite with a an outdoor hot tub. During the day, rent one of the cabanas by the pool and relax on your honeymoon. Browse more honeymoon suites. Luxury suites from $249 per night (866-751-7625). You are on vacation at a five star resort and really want to go out and sit by the pool, but you decide to stay in your room because just can't miss your favorite television show. 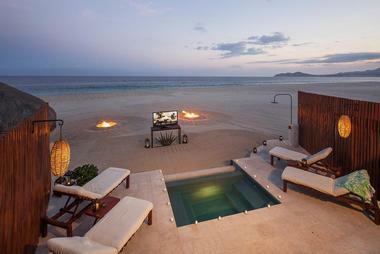 If you happen to be staying at Las Ventanas al Paraiso in Mexico, then you can go out to the pool and watch television as well. (You can also send e-mail, surf the web and watch DVDs). The property offers guests LocationFree Tvs from Sony. The televisions, available at poolside, are private, compact and obviously portable. They also come with headsets so you won't disturb anyone else while watching your television as you sip your drink in a pool lounge chair. Pool Butlers are available to offer guests other amenities such as cooling mists of frosted Evian spray and cold towels, palette-refreshing sorbets, oversized fluffy towels, the latest magazines and best-selling novels, personal CD players with a selection of CDs, as well as pre-loaded iPods. The Westgate Hotel in the heart of downtown San Diego is decorated in classical European style which makes you think you've just arrived in a major European city like Paris or Vienna. Choose from rooms and suites with harbor or downtown views. Each room measures at least 400 square feet in size and features European imported furniture, oversized marble shower and Wireless Internet access. The suites have large private terraces, separate rest and lounge areas, richly appointed marble bathrooms and over-sized work desks. There are four suite categories to choose from, ranging from Executive Suites to the ultra luxurious Presidential Suite. You will be able to see downtown San Diego, Coronado Bay Bridge, Coronado Island and the Pacific Ocean. There are several dining options at the hotel, including the Westgate Room which was voted the "Best Seafood Restaurant" by San Diego Reader Magazine. The hotel serves a traditional Afternoon Tea which includes delicious tea sandwiches, sweet pastries, scones and seasonal berries. Sounds of a harp can be heard in the background. There is a fitness center and offers spa services. Room rates start at $285 per night. 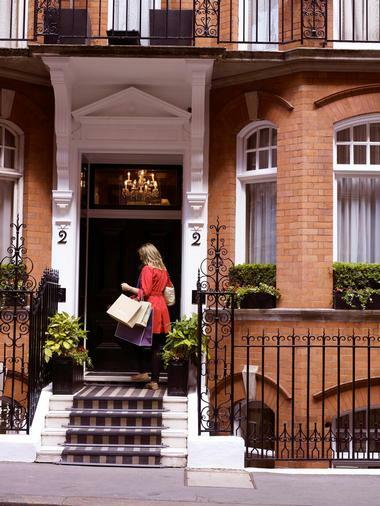 A fall getaway in London is filled with boutique shopping, gourmet dining and visits to famous museums. 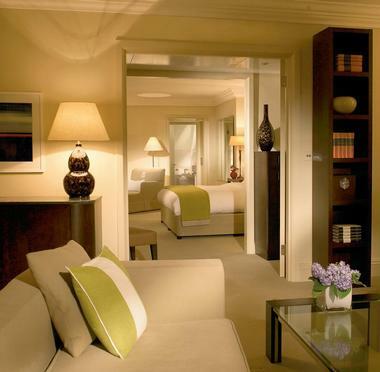 Head to the the Athenaeum Hotel & Apartments for a romantic trip. 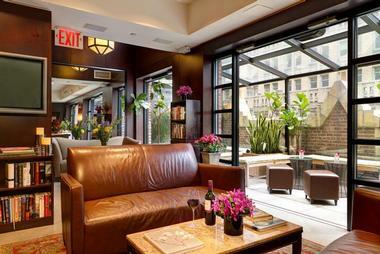 The hotel is located in the heart of the West End, which is just a short walk from the Theater District. The Hotel has 111 luxury rooms and 12 suites with Hypnos deluxe beds, power showers, plasma televisions, and 24-hour room service. Be sure to let the staff help you with any romantic plans you may have. They can arrange to have flowers and champagne delivered to your room before you arrive, set up a gourmet dinner in your room, and reserve theater tickets. Let the concierge arrange your tickets to the show of your choice. Enjoy dinner at the Bullochs Restaurant, see a show, and return to the hotel for drinks at the Whiskey Bar or the Windsor Lounge. A hotel for couples who like to read together, the Library Hotel is located at Madison Avenue and 41st Street in New York City, near the New York Public Library. The Library Hotel is a unique designed to feel like a private club. Like the name suggests, the hotel has several spaces where guests can pick up a book and read as they would in a library. 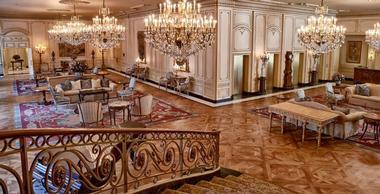 In the Reading Room, guests can enjoy complimentary refreshments throughout the day. Two other library-style rooms include a rooftop sitting room with a terrace, called the Poetry Garden, and a mahogany-paneled sitting room with a working fireplace, called the Writer's Den. For business travelers, there is a Business Center with computer stations and high-speed Internet access. Events and meetings can be held at the Executive Inspiration Board Room which seats 12 people. 60 guest rooms are located on ten separate floors, each dedicated to one of the ten classifications of knowledge of the Dewey Decimal System: Social Sciences, Language, Math and Science, Technology, The Arts, Literature, History, General Knowledge, Philosophy and Religion. All of the rooms are decorated with art and library books relating to the theme of a particular floor. If you like Astronomy, you can stay in the room featuring Astronomy books, located on the Math and Science floor of the hotel. Guest rooms also include bathrobes, multiple phone lines with voice mail, data ports and complimentary high-speed Internet access. Guests can dine at Madison & Vine, an American bistro. Rates start from US $265 per night (212-983-4500, 877-793-7323). Can't decide whether to go on a fitness vacation or travel to a fun new destination? No worries, with Escape to Shape you can do both. 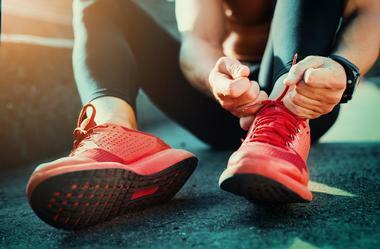 Experience a new breed of fitness getaways that let travelers explore unique destinations while getting fit. The company is known for its attentive service by keeping the groups small. Some of the past itineraries have included dance lessons in Cape Town, exploring the UNESCO protected city of Dubrovnik, conquering Mt Etna in Sicily, and discovering the markets of Marrakech. Each trip is curated by owners Erica & Francesco in order to provide travelers with a unique, personalized experience. Guests enjoy luxury accommodations, organic & local cuisine, one-of-a-kind cultural tours, great spa treatments and an array of activities. You will have access to many fitness classes, including yoga, Pilates, circuit training, hiking, kayaking and biking, depending on the location. Rates start at $3,700 per person for a 7-night trip to Berlin. Solo travelers can request a roommate or pay an additional $1,000 for a private room. Casa de Sierra Nevada is a charming getaway located 6,435 feet above sea level in San Miguel de Allende in central Mexico. This luxury Orient-Express hotel offers a tranquil spa and a cooking school where guests can learn how to prepare Mexican dishes. 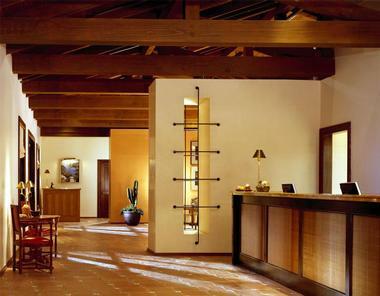 There are 37 deluxe rooms and suites, a mix of Spanish Colonial and Mexican design. Laja Spa, named after Laja River that flows through the mountains filling the San Miguel Lake, offers three colonial style treatment rooms. Spa treatments range from traditional healing therapies to modern techniques. Experience the Temazcal ritual at the spa which consists of indigenous chants and an aromatic mixture of medicinal herbs and copal, a resin used by the Mayan peoples as incense. The ceremony lasts 145 minutes. Room rates start at MXN 2695 per night (+52 (415) 152 7040, 800-701-1561). Resting on an island filled with coral reefs, mangrove forests, and pristine beaches, Gaya Island Resort offers a unique Malaysian experience. The beachfront resort blends into the natural environment of the surrounding hillside and ancient rainforests that make up the protected Tunku Abdul Rahman Marine Park. Guests can enjoy a stunning view of Mount Kinabalu from their elegant, contemporary villa that is eco-luxury in style and features traditional décor, or they can explore the sanctuary’s surroundings through the many “experiences” the hotel offers. For example, the 7 Wonders of Gaya takes visitors through the rare flora, fauna, and wildlife that is unique to the park, while the Singgah Singgarung Night takes visitors on an insightful journey that showcases the arts and activities of the local tribes. For nearly 15 years, Hotel Palafitte has been providing an unusual yet relaxing environment for guests to enjoy in Switzerland. 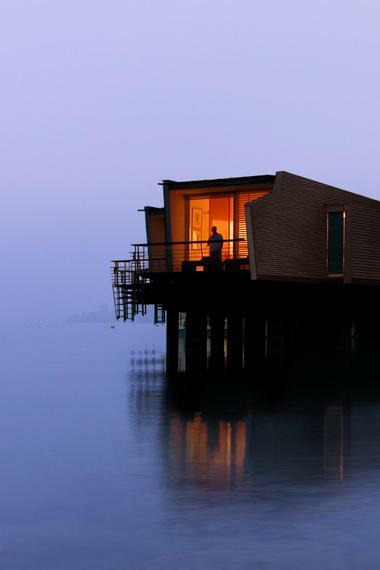 It is the only hotel in Europe that is built on stilts over Lake Neuchatal. It is only a few minutes away from the city center, meaning guests can enjoy the peaceful silence of the lake but still be within short distance of the hustle and bustle of the city. Guests can choose from lake pavilions or shore pavilions, both of which are beautiful and breathtaking in their own way. The lake pavilions have a small ladder with direct access to the lake, while the shore pavilions offer an amazing sprawling view of the surroundings. Warm crystal-clear waters, soft white sand, lush grove of palm trees – The Sun Siyam brings together the best of the Maldives in this beautiful island resort. The hotel lies on 52 acres of natural perfection. The Maldives is part of a community of islands, and guests can enjoy their vacation here by exploring hidden groves, swimming in the clear waters, sun bathing on the warm sand, or relaxing in their luxurious rooms. 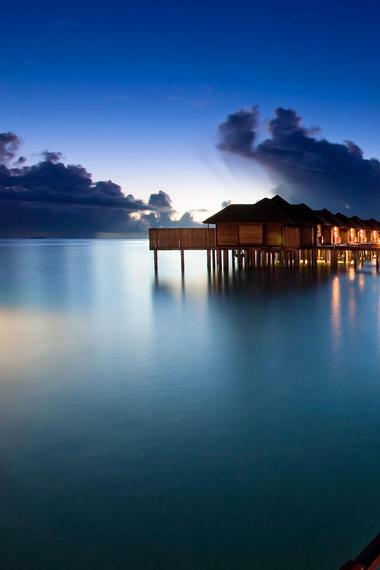 Accommodation options includes hidden retreats, over-water villas, and beachside villas. Activities that guests can partake in include relaxing in the steam room or sauna, getting a spa or massage treatment, or taking part in water activities such as jet skiing, wind surfing, or kite boarding. 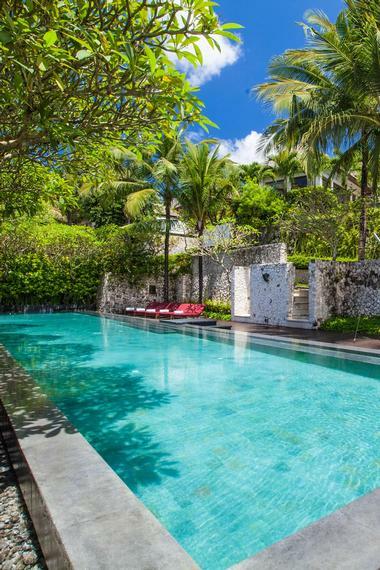 Footsteps away from lush tropical gardens and the tranquil beaches of Bali lies Karma Jimbaran – a hideaway consisting of luxurious amenities and home comfort. Guests can enjoy their private pool villas designed in traditional Balinese style – each of the villas has a state-of-the-art kitchen, a living area with satellite TV, a DVD home theater system, and Wi-Fi. All villas have access to the beauty that surrounds them: coral reefs, rice terraces, volcanic mountains, and breathtaking sunsets. Amenities include spa treatments, wine tasting at the in house wine bar, or mastering new skills with a Balinese cooking class. 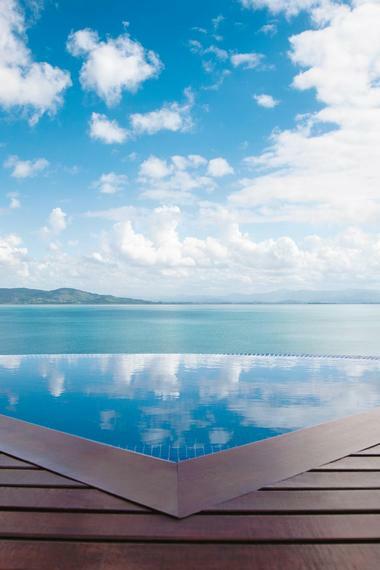 Kiaroa is an eco-luxury resort that takes guests to a paradise that can’t be found anywhere else. Surrounded by the Atlantic Forest, guests can relax in the natural swimming pools that are formed by the clear waters of the Maraú Peninsula, which flow into the resort. On-site amenities include a tennis court, beach volleyball, a reading lounge, game room, a beach bar, infinity pool, and a spa, as well as a convenience store on site. 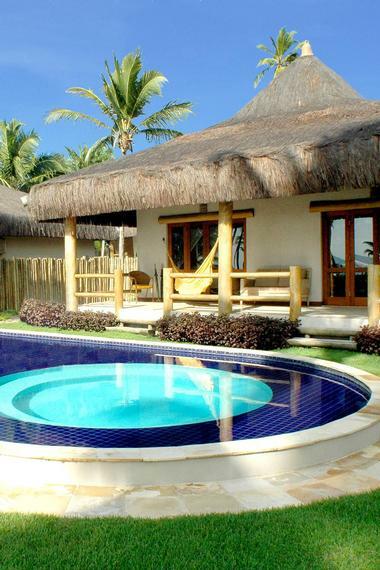 The rooms, suites, and bungalows all have unique features and breathtaking views of the forest, sea, or private garden, offering guests an amazing location when traveling to Brazil for business or pleasure. Ponta dos Ganchos is located in Governador Celso Ramos, a small fishing village in Brazil that is full of rich history, which becomes evident in its surroundings. The resort is not far from central locations such as Sao Paulo, Buenos Aires, and Rio de Janeiro, but the private peninsula that Ponta dos Ganchos sits on makes it seem isolated from all the bustle. Committed to offering high quality services, the hotel has private beach access, a fitness facility, business center, restaurant, bar, lounge area, game room, tennis court, and a mini movie theater for guests to use. Guests can also spend their time swimming in the heated pool, unwinding with a massage at the spa, or walking the surrounding nature trails to explore. 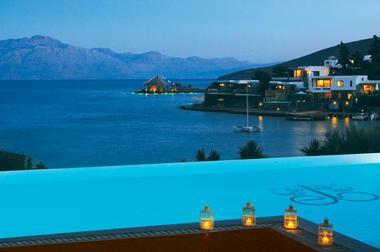 Porto Kea Suites is an eco-friendly beachside retreat in Kea Island (Tzia), Greece. The luxury hotel rooms and suites combine with the hotel’s services to provide pampered, attentive, and professional service to all guests. Overlooking the port and with a never-ending view of the Aegean Sea, the hotel stands out among the many found in Greece with its narrow pebbled paths and an idyllic garden. Traditional style and modern aesthetics come together at this stunning resort, which is surrounded by a quaint church, port, cafes, restaurants, and bars, all by the sea.